TAKE ADVANTAGE OF THE LOW AUSSIE DOLLAR NOW! If you are interested but unable to make it, just click SUBMIT and our agent will contact you soon. Lakeside living at its best, with dolphin and whale watching, boat tours, water sports, outdoor activities etc. 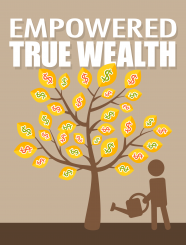 "Empowered True Wealth" worth $47 for Free.